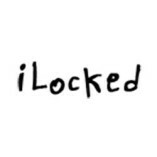 iLocked is an exciting puzzle orientated live escape room game located near the city Center in Nottingham. Created for small and large groups of 2- 8 participants. The objective is to solve the puzzle and escape from the room before the 60 minute... time limit reaches 0. At your disposal you will have your wits, team mates and potentially some help from the game master. This is a fantastic test of team work and cognitive ability but can also be scaled down to be more accessible to younger and older audiences alike. special occasions and also cater to the wedding audiences with stag and hen do activities in Nottingham.